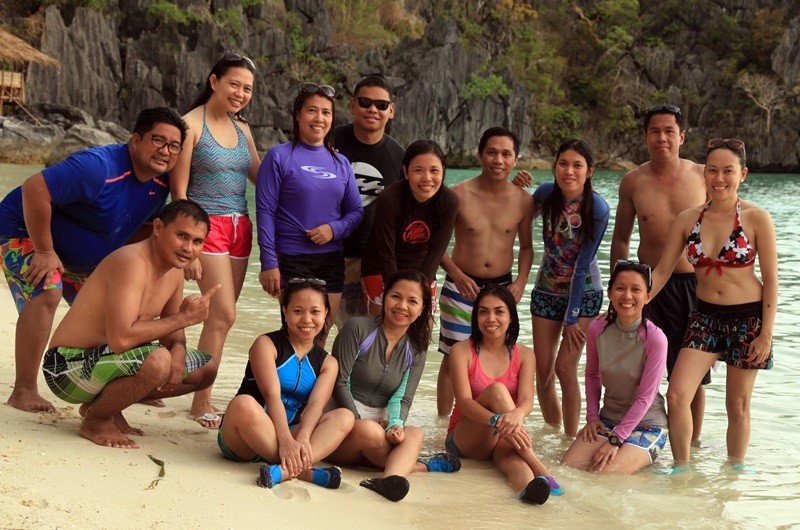 For the annual trip with friends, we chose Coron as our destination. 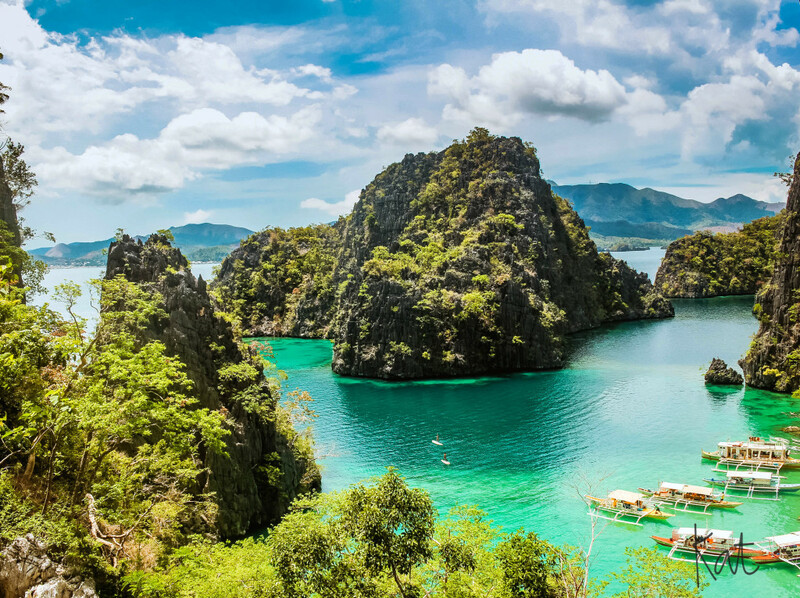 Coron is part of Palawan, Philippines. 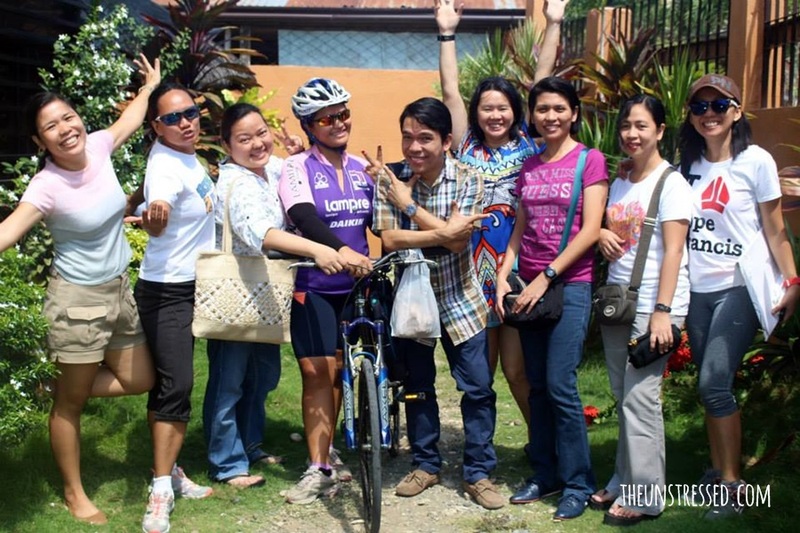 Previous destinations of my trip with friends were Naga, Sagada, Ilocos and Cagayan Valley. 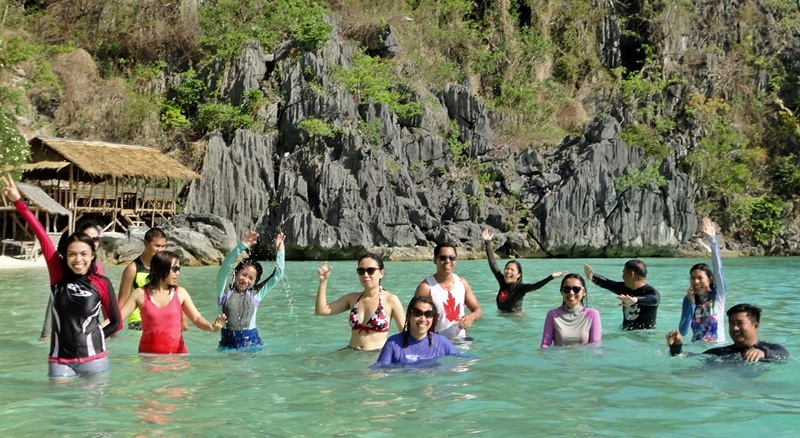 For this June trip, we started booking for Coron last November. We had time to prepare and gather friends to join us. The wait was long but it was all worth it. 1. The sunset is glorious. I know that there are many glorious sunsets in the country. I have seen many but this is the first time I experienced the sunset from the top of the mountain. 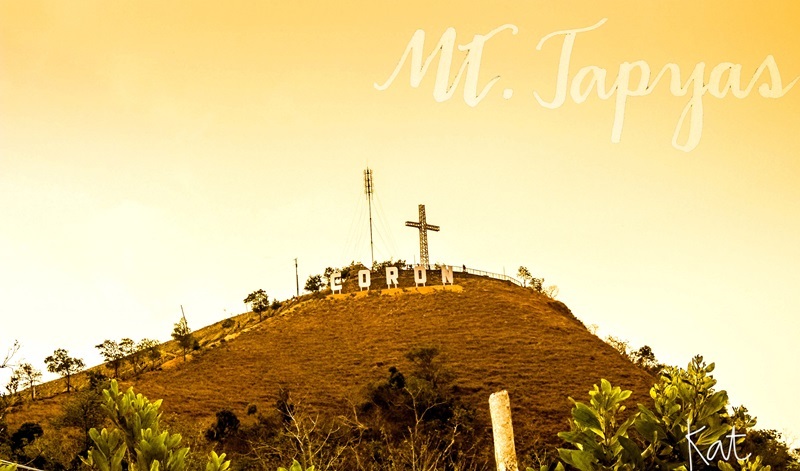 We climbed the 700 steps of Mt. Tapyas. 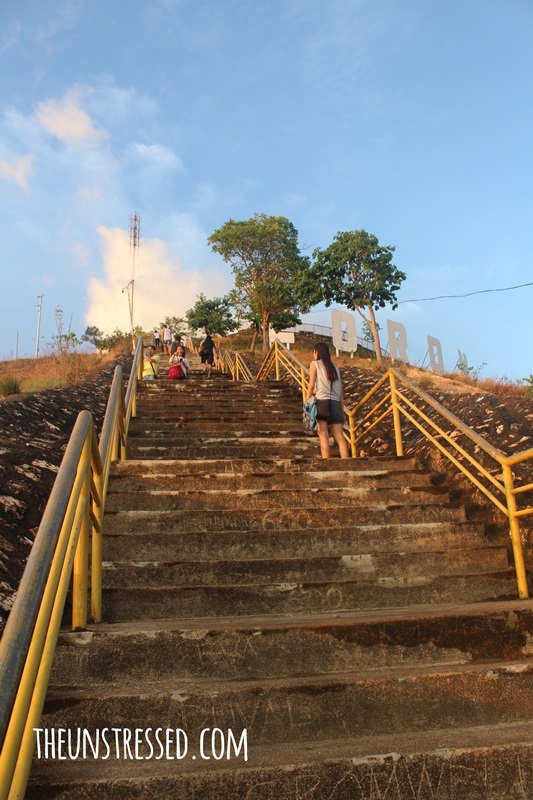 It was an easy climb so you do not have to worry about not being a mountain climber. 2. 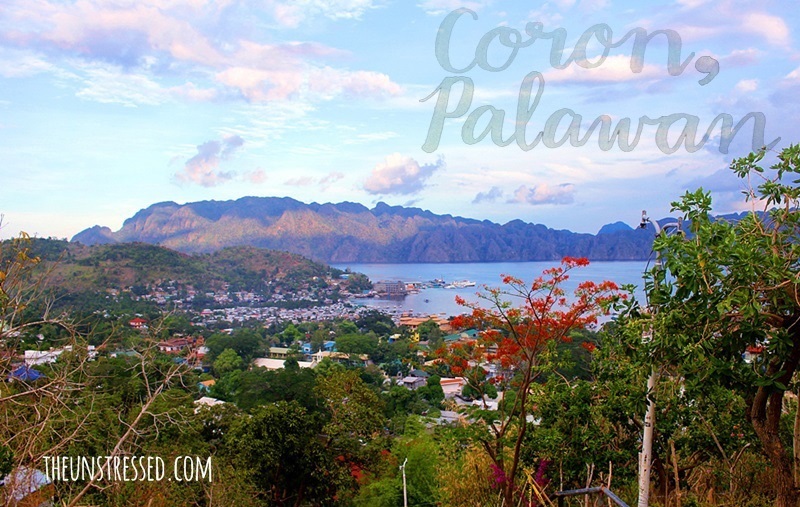 Coron Town is very accessible. Our hotel was a few blocks away from the port so we mostly travel on foot. 3. The boat ride was an experience itself. We had a double decker boat equipped with toilet and kitchen. From the second deck, it was possible for me to take this photo of my friends. 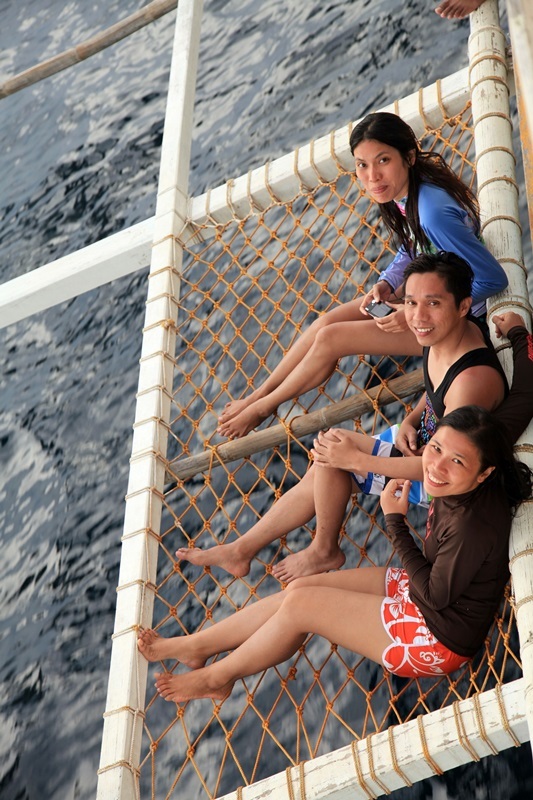 My favorite part of the boat is the netted outrigger. 4. I love snorkeling. 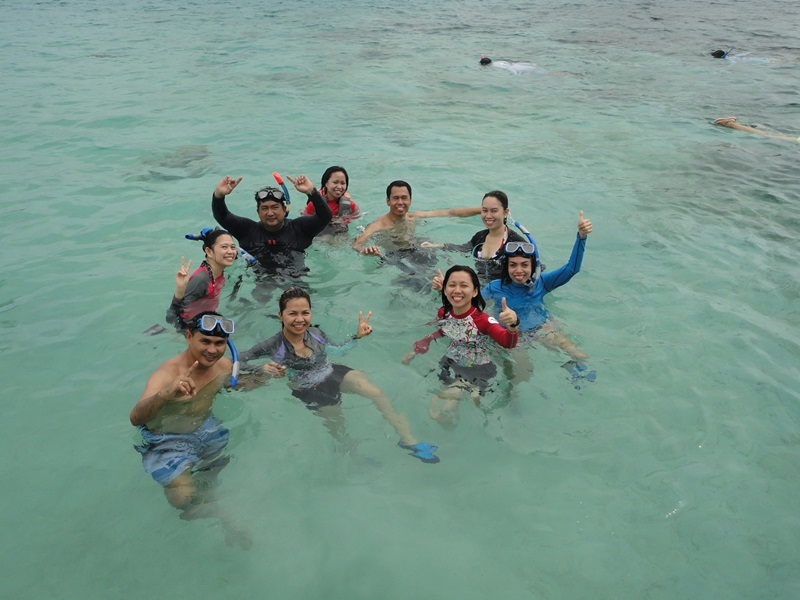 I learned how to snorkel in Apulit, Palawan in 2012. The corals there were amazing. 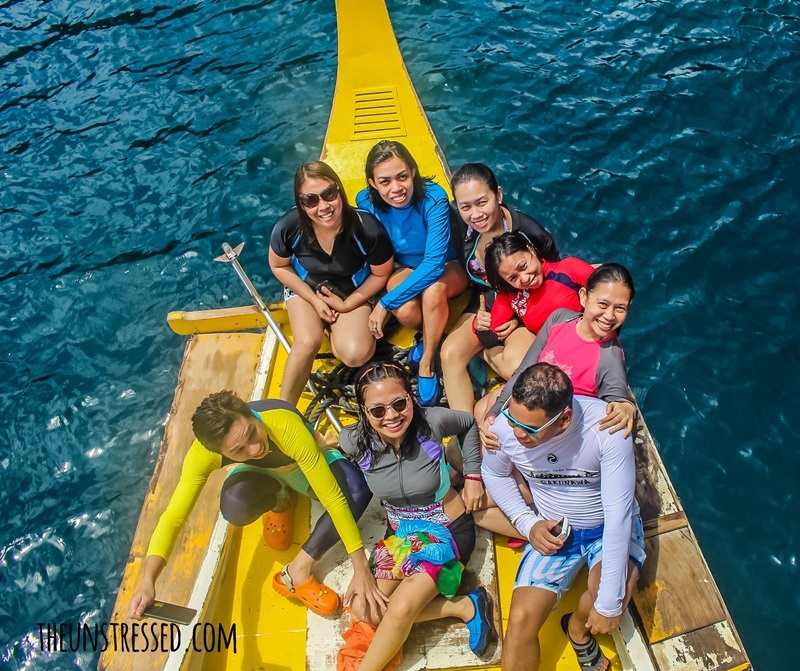 Coron is known to have same beautiful corals and colorful marine species. This is why me and my friend, Gail, were the first few off the boat to snorkel. This photo is proof that we would rather snorkel than pose for a photo. On the top right, you can see me too busy to be bothered by a camera. Hehehe! Coron corals broke my heart. Although we saw healthy and colorful ones, many were in a sad state. 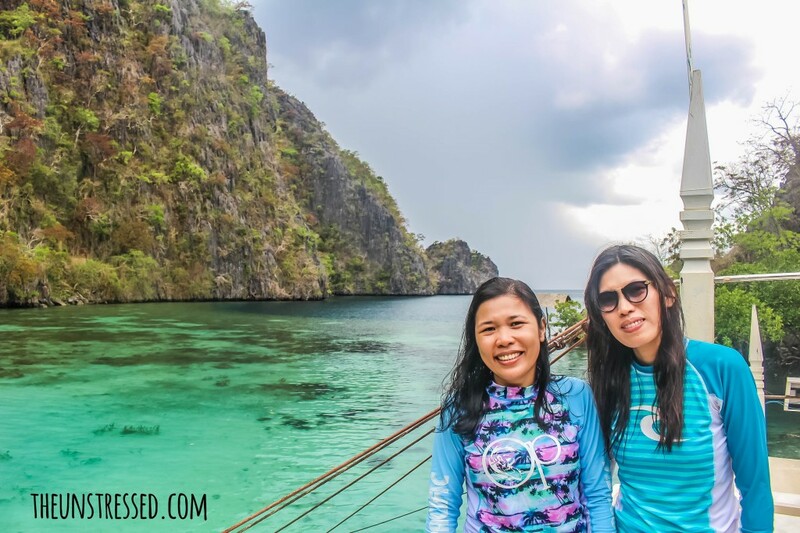 Coron was hit by Super Typhoon Yolanda (Haiyan) in 2013 and we witnessed the damage it had on the marine life while snorkeling. 5. 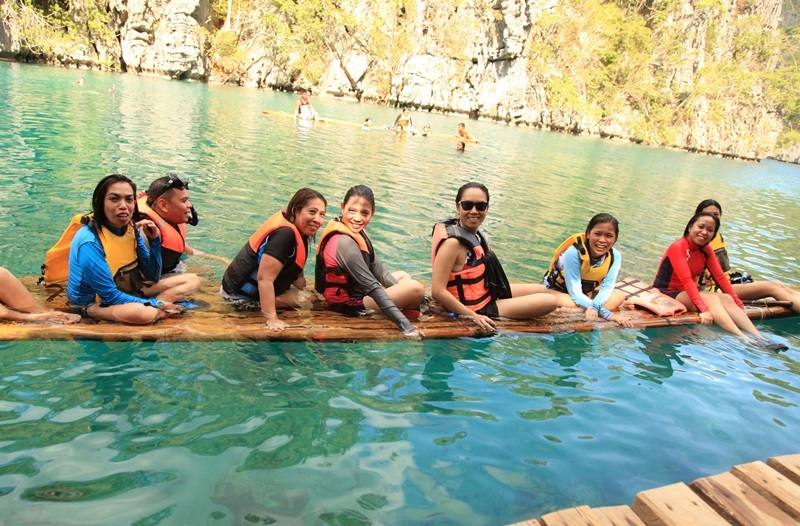 We enjoyed rafting at Kayangan Lake. This area in Kayangan Lake is the what we often see in postcards. 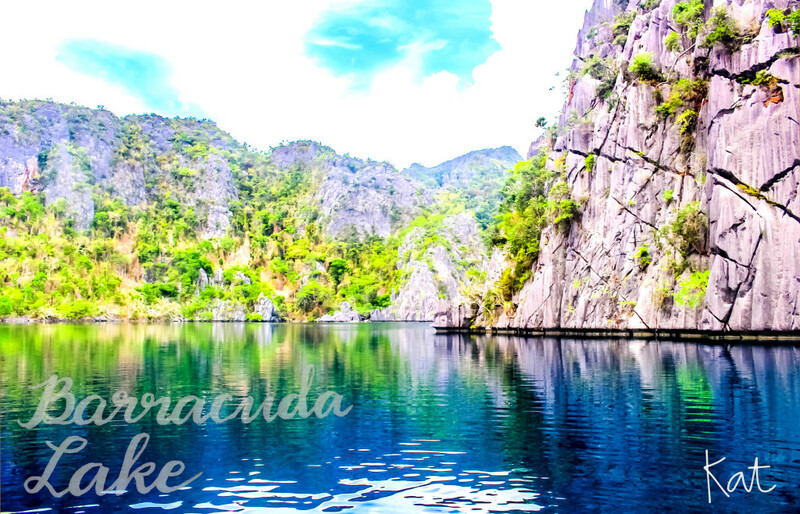 I think this is the most popular spot in Coron. The actual lake is this. We stayed on the raft for a looong time. We laid on our back. We laid on our stomach and bent over with our goggles to view the world underneath. Our time in the lake was one of my favorite activities in Coron. 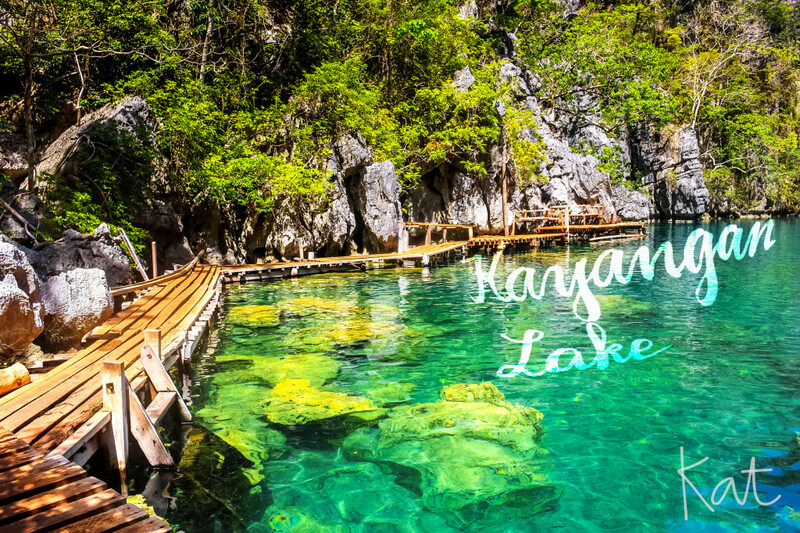 Kayangan Lake is known to be the cleanest lake in the country. 6. Hidden Lagoon is a quiet sanctuary. We visited the site before lunch. We were already hungry but when the boatman approached the area, I momentarily forgot about lunch and posed for photos. Me and my friend, Gail. I took this diving photo of my cousin. Look at the clear water! 7. Barracuda Lake is serene yet eerie underneath. I swam (with lifevest, hehehe) in the middle of the lake and put on the goggles to see what is underneath. I saw nothing. Just deep blue water. I swam to the sides and did the same, I saw jagged rock walls underneath similar to walls in this photo. It looked like there is another kingdom underneath. It was in this lake where we saw some people being taught how to scuba dive. Must be that deep. 8. Swimming time at Banol Beach was fun. The sand was soft on the feet. Water is clear. What is not to love about this beach? 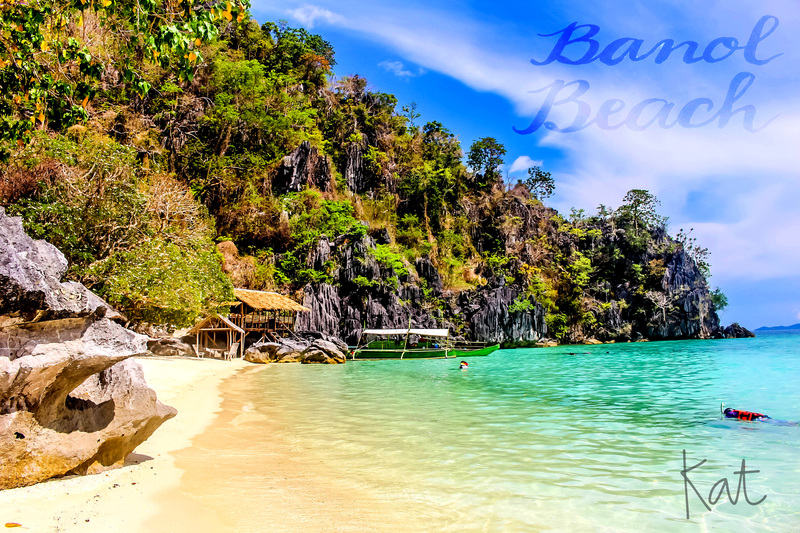 The beach was not really part of the package we chose but when my cousin saw a photo of Banol beach in the wall of Coron Village Lodge, he asked to include it to the itinerary. We just have to pay the entrance fee. We enjoyed our time here. 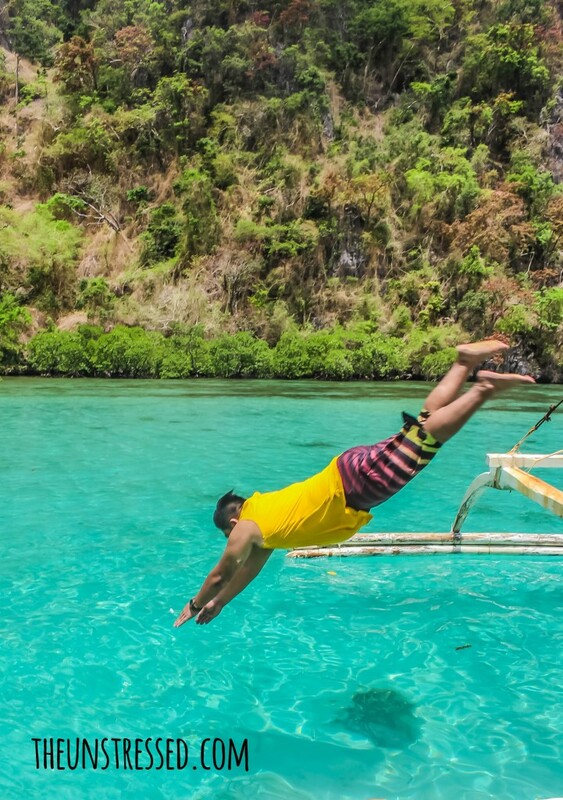 Swimming here was the best way to end our Coron tour. We really enjoyed the beach! 9. We never stopped laughing. Well… unless, we were eating or sleeping. My friends are cool people who can take a lot of our ribbing. We had bullies who never stopped teasing their targets but all is well. Look at four of my friends who wore shirts of the same color as the tour guides on two different days. 10. I have wonderful friends. The most number of friends I have traveled with before was 8. 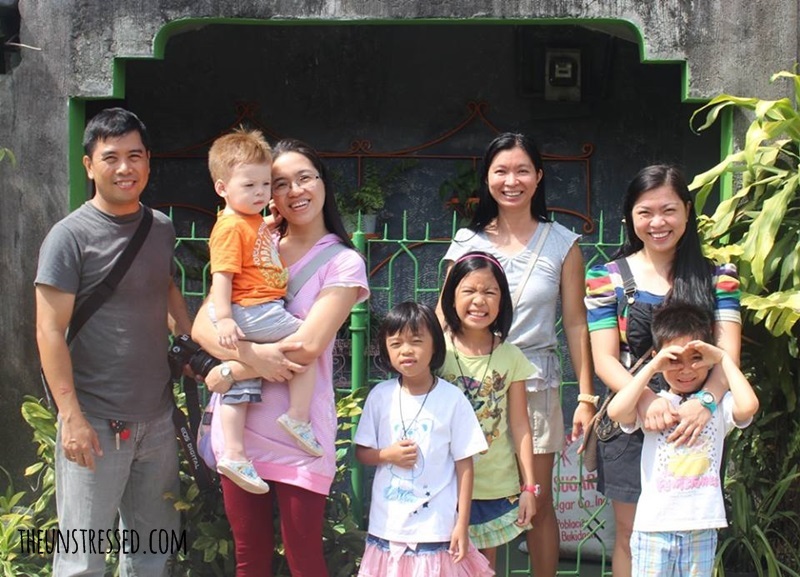 In this trip, we were a group of 14 – a mix of new and long-time friends. We all had a great time. No one had tantrums. No petty quarrels. No little arguments. No heavy discussions. All were game. Each had fun. Even the quiet ones had fun. No one was left out. We had so much fun in this trip that we are all looking forward to the next trip together. Say hello to my wonderful friends. 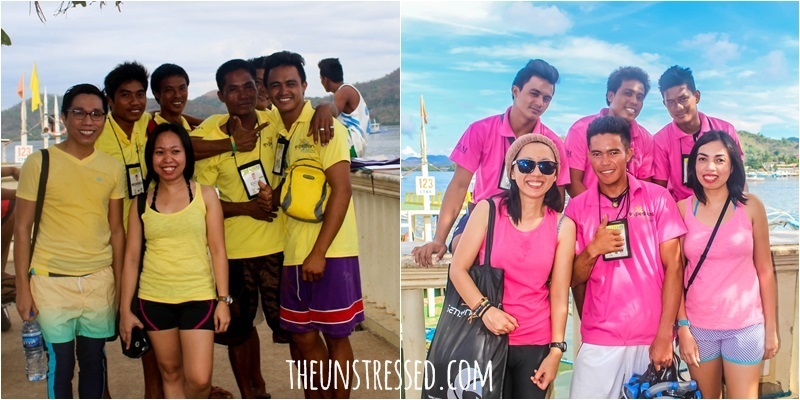 I know that the 9th and 10th reasons had nothing to do with Coron but with the people I was with. Thus, I recommend traveling with friends. You will get to know your friends better when you travel with them. 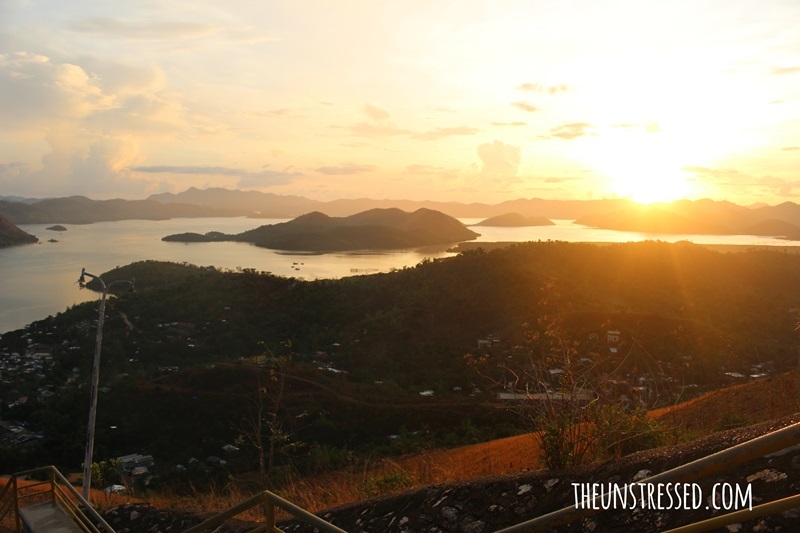 Consider Coron for your next vacation destination. 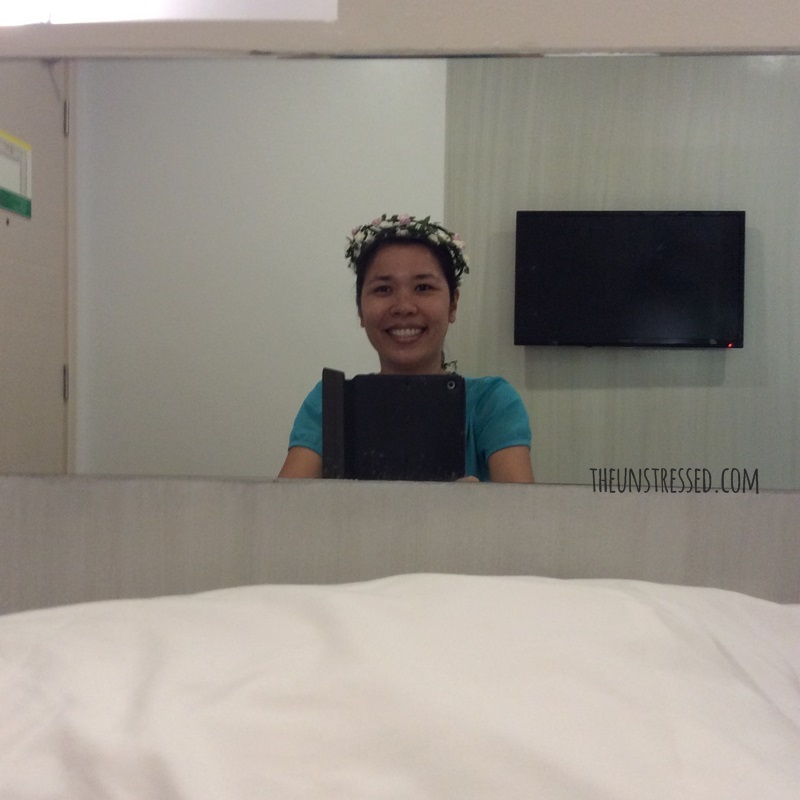 For our Coron trip: We flew via Cebu Pacific. 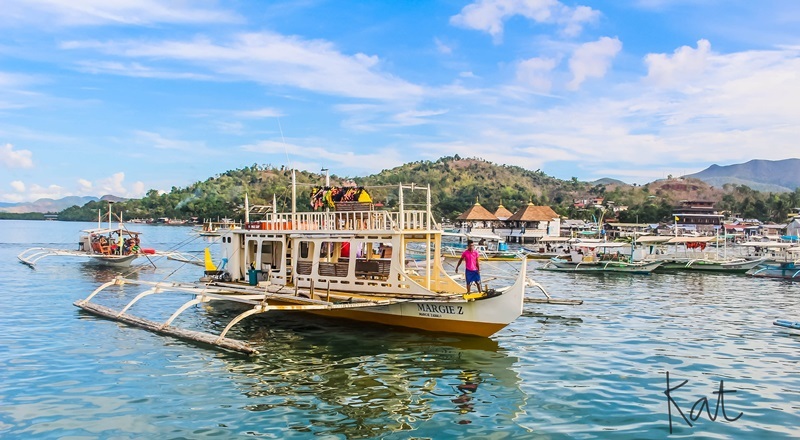 (Cebu Pacific has multiple flights to Busuanga from Manila every day. Philippine Airlines also flies to Coron.) We book our tours through Coron Galeri. We stayed at Coron Village Lodge. 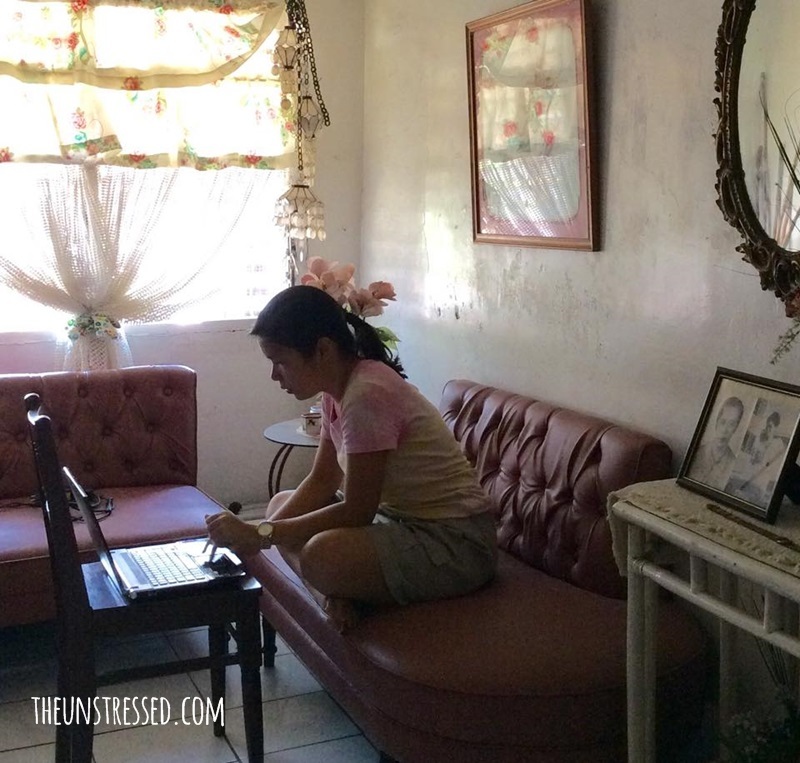 It is almost July and I have a blogging backlog. 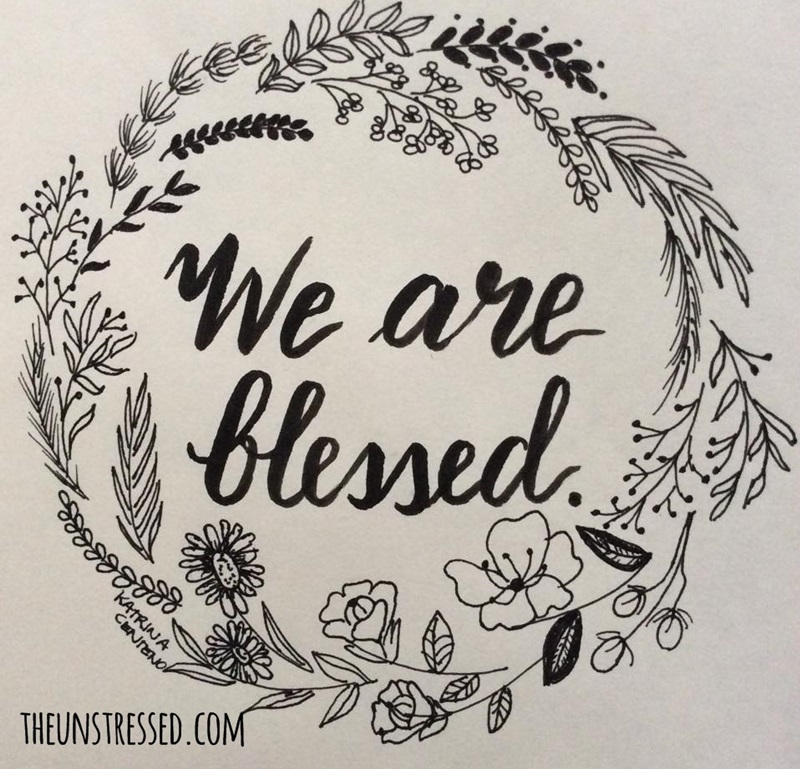 I cannot start writing about the past month without this gratitude post to everything that happened. May was a busy month. (What month isn’t?) My month was filled of activities- some creative, some fun, some experiments and some fun, creative experiments. May was pretty hot and humid. I had to move my workarea to one closer to the window so I could feel some breeze. Our dog who used to hang out near me went to find a cooler place to rest. 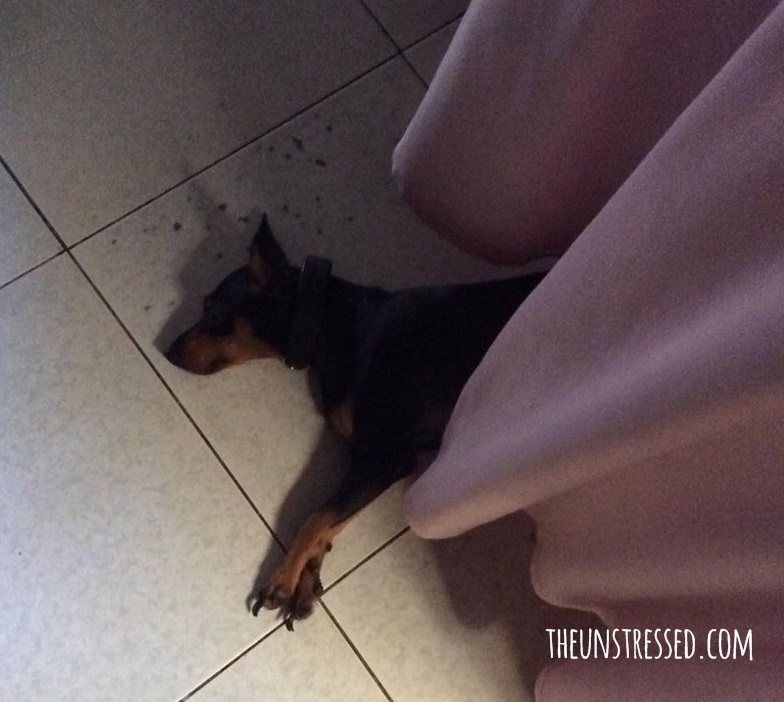 She was in my aunt’s house under the table. It was that hot. 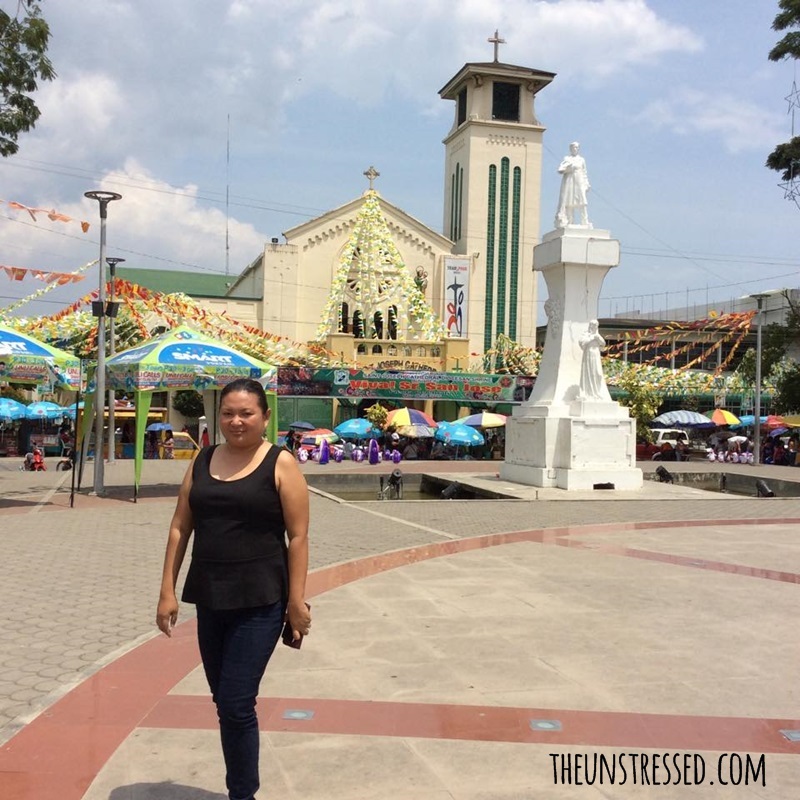 Even with the hot weather, we had to move and prepare because May is fiesta month! Buntings in the park were up as early as the last week of April. My cousin who would not be able to attend the celebration posed for photo near the church. 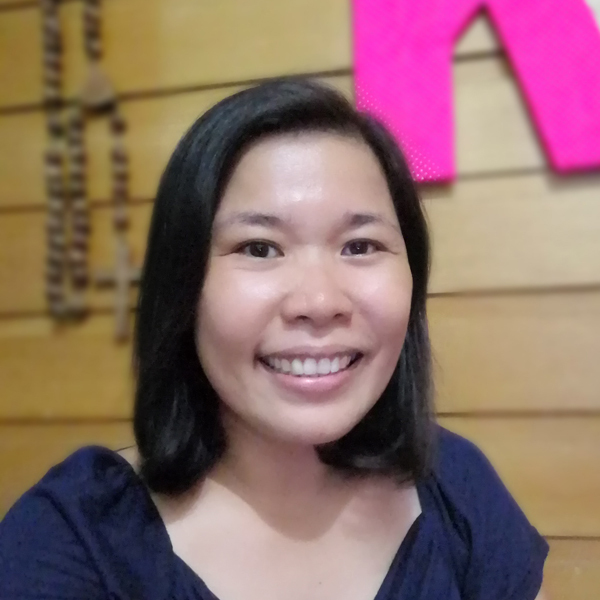 She was around for the alumni homecoming of her high school and she also helped my other cousin prepare for the different activities since our cousin’s batch is the silver jubilarian. 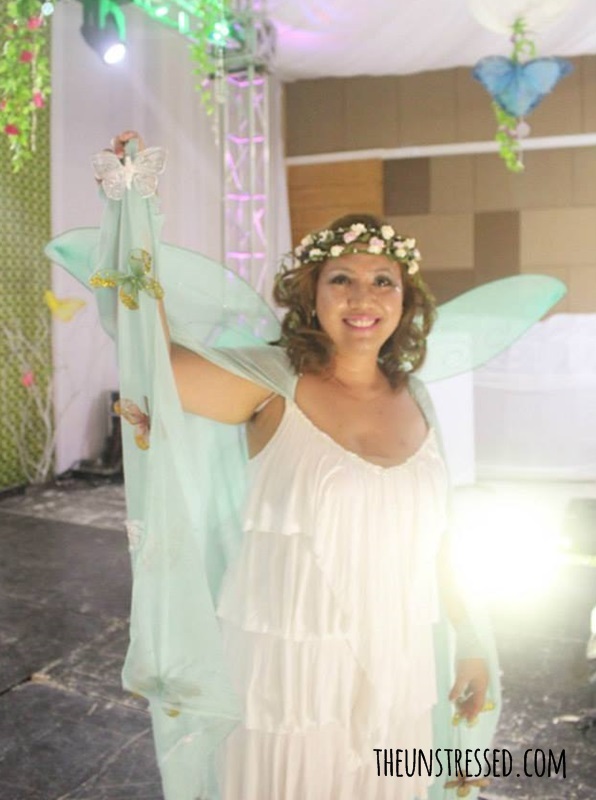 They had a fairy theme in one of the parties. Of course, I had to try the headdress, too. I hang around while they were preparing. 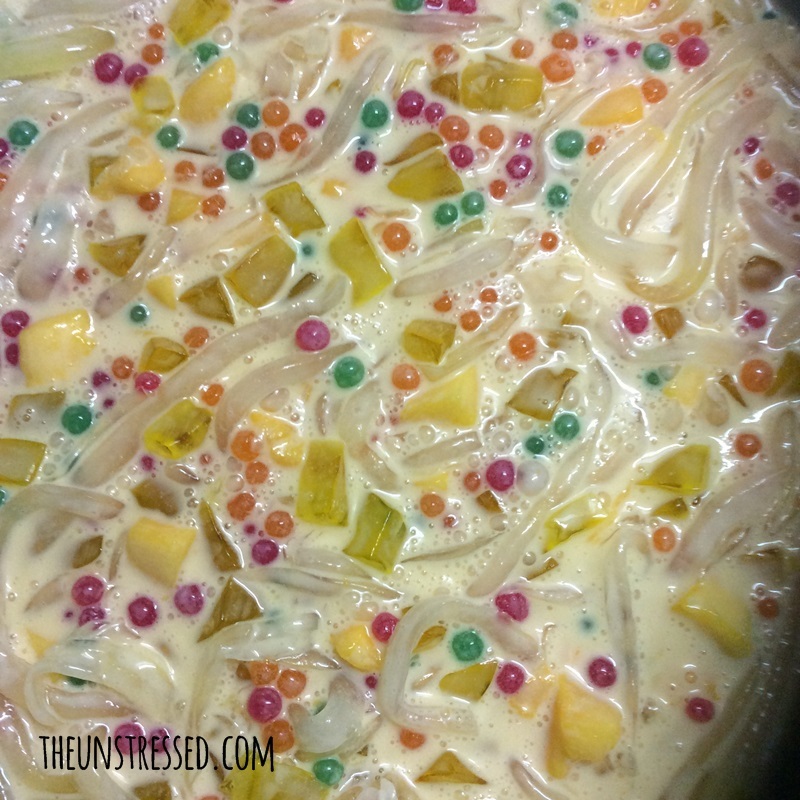 Because fiesta was coming up, we experimented on some recipes. 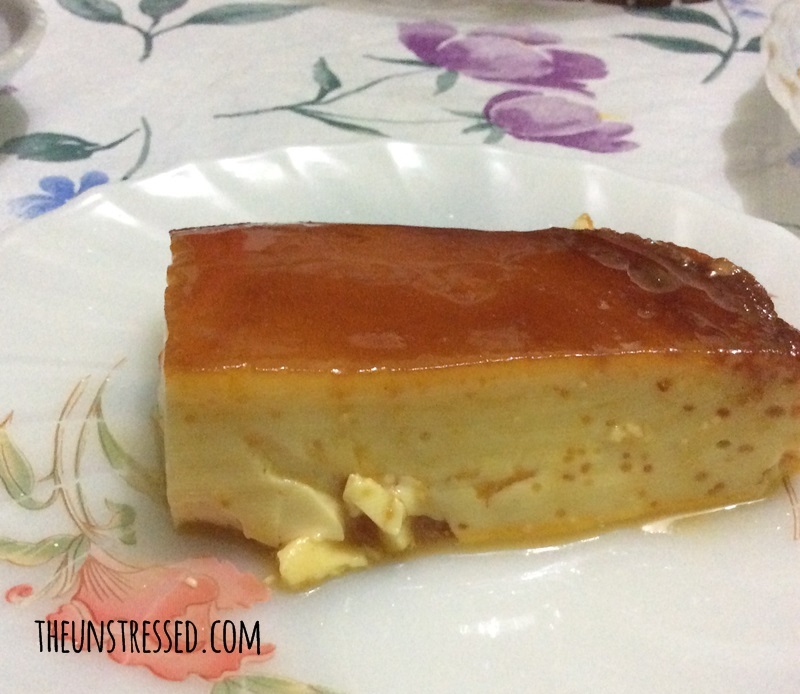 I tried to cook leche flan. 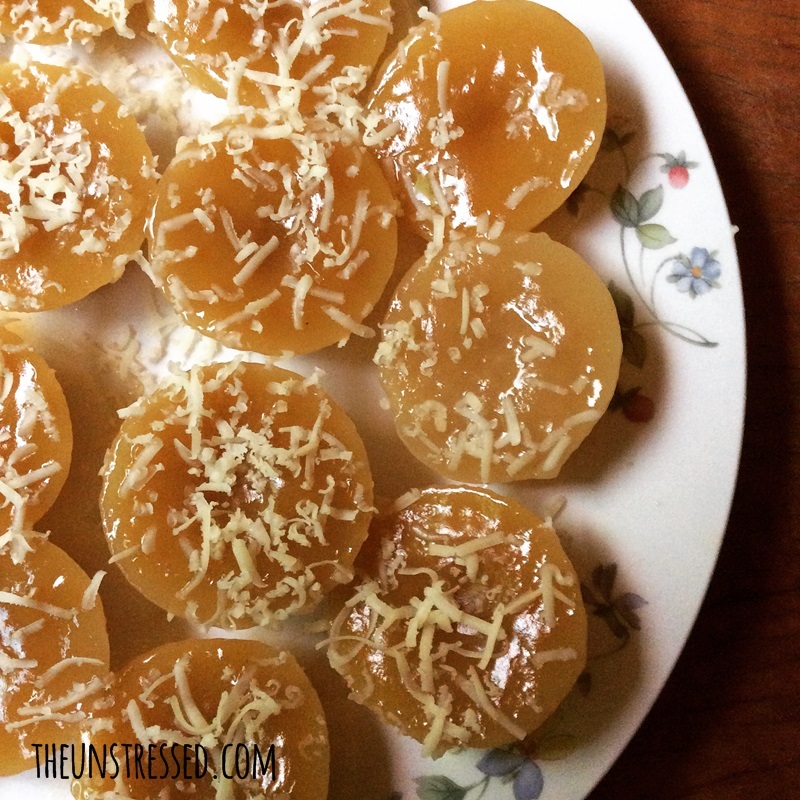 Since I only used egg yolks in the leche flan, I had to look for desserts that use egg whites in the ingredients. 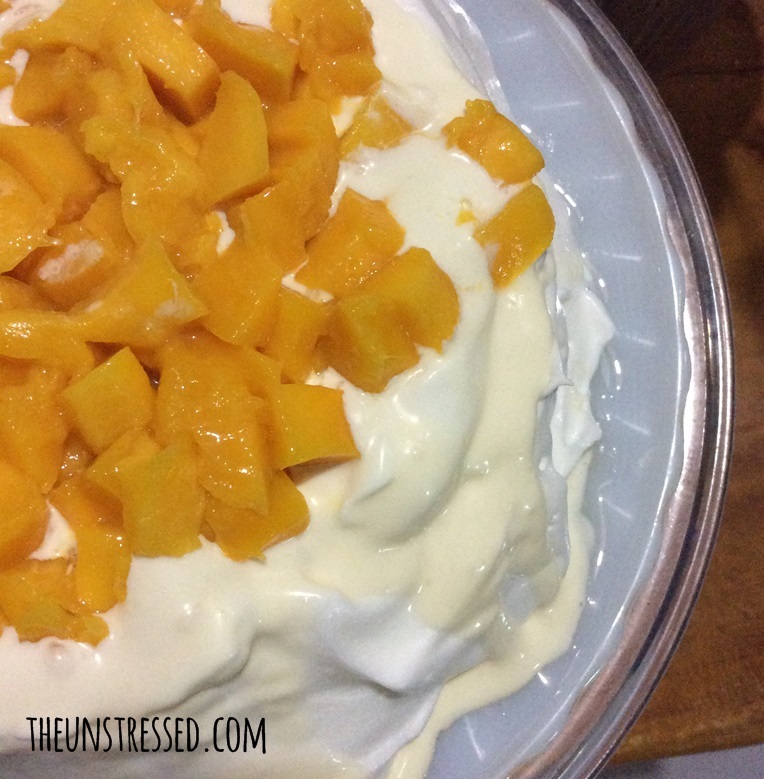 I tried Pavlova. I cooked this in the microwave. 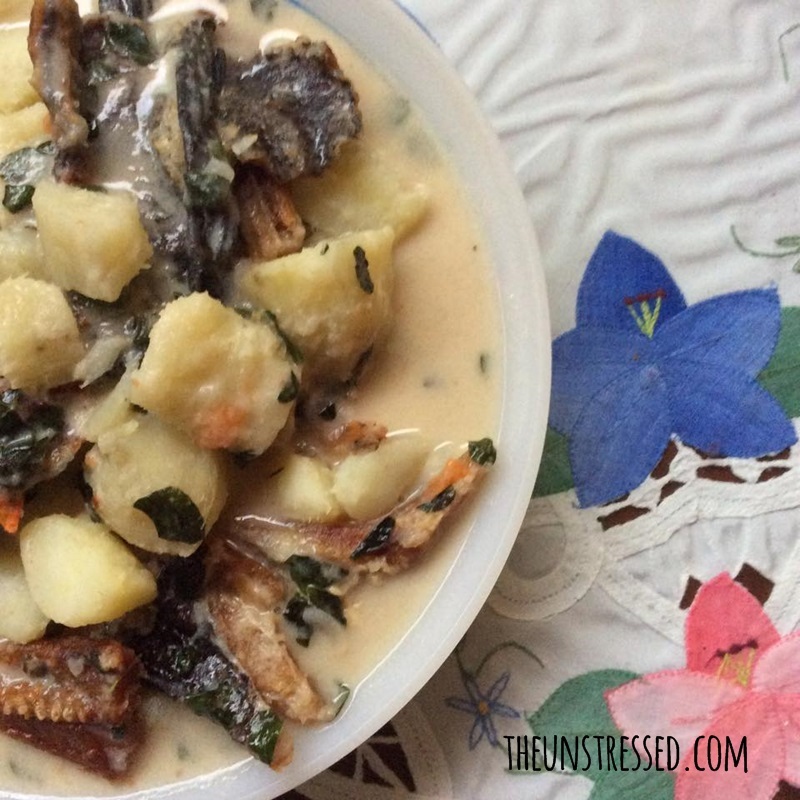 Not all the food we made were meant for the fiesta celebration. 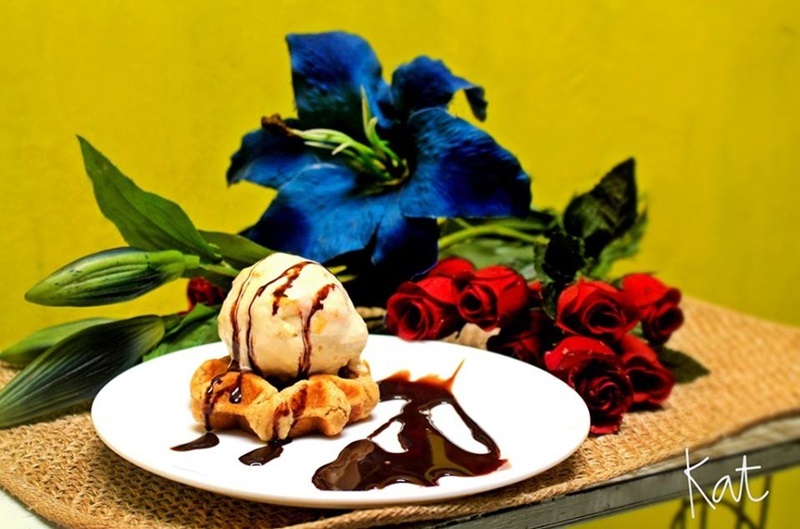 I tried to make homemade ice cream for the Pacquiao-Mayweather fight which turned out to be a comfort food rather than a celebratory dessert. We all know what happened. Some good food are not experiments but gifts from generous friends. 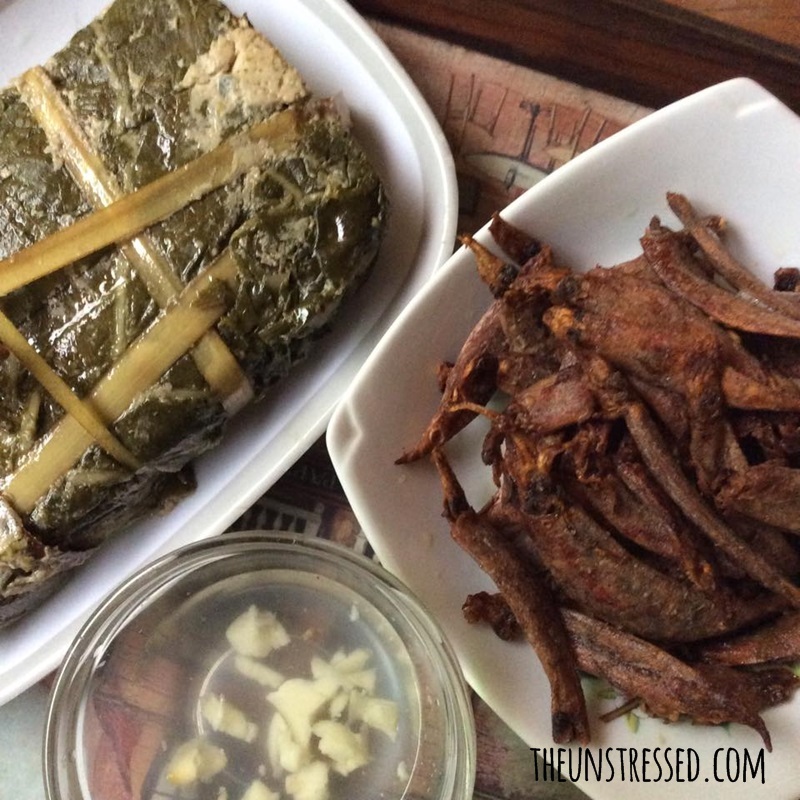 In one Saturday, we had laing and dried squid for lunch. Some lunch food are made by my aunt’s former cook. My May was also spent bonding with friends. My high school classmate from General Santos City visited me. My friends and I had a breakfast get-together with a visiting friend. 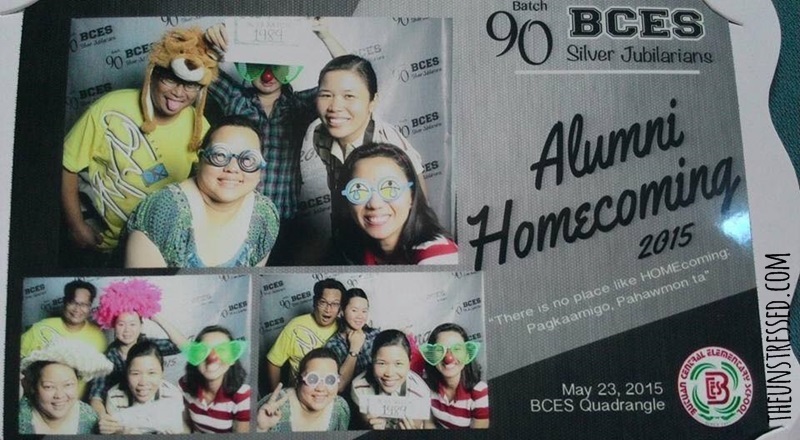 We went to our grade school alumni homecoming. 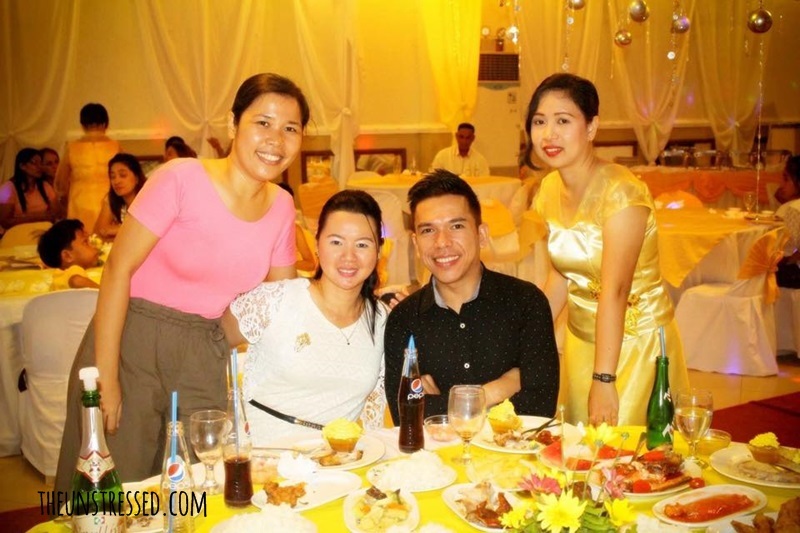 We also attended my friend’s parent’s wedding anniversary. 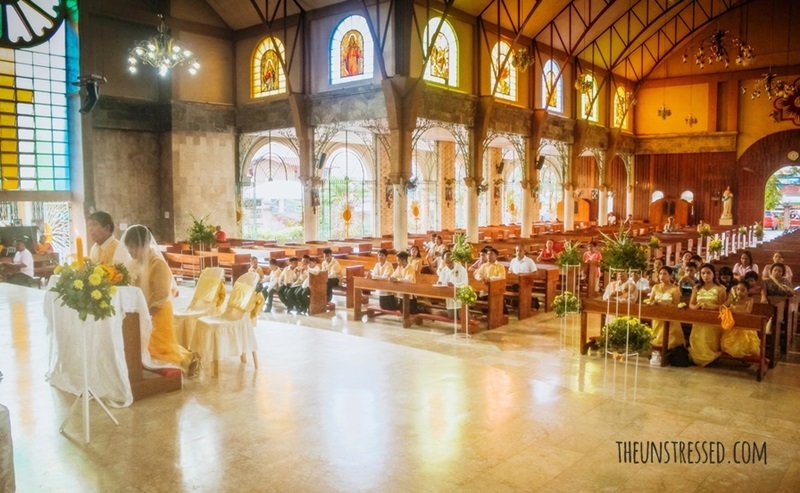 I was the designated photographer at the wedding. A 50th wedding anniversary deserved to be celebrated! May was also mother’s day and this year is also mama’s 10th death anniversary. I said a prayer and offered mass for my mama. Of course, I practiced some calligraphy. 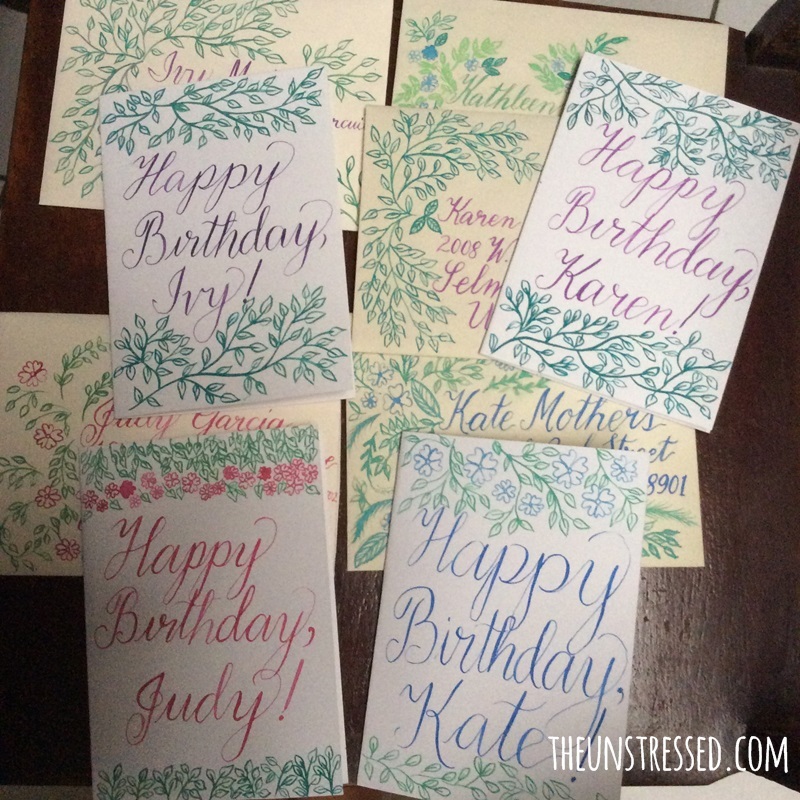 I joined the Flourish Forum and there is a birthday exchange where we mail birthday cards to celebrants for the month who enlisted in the exchange. My calligraphy is still shaky but I made the cards anyway. 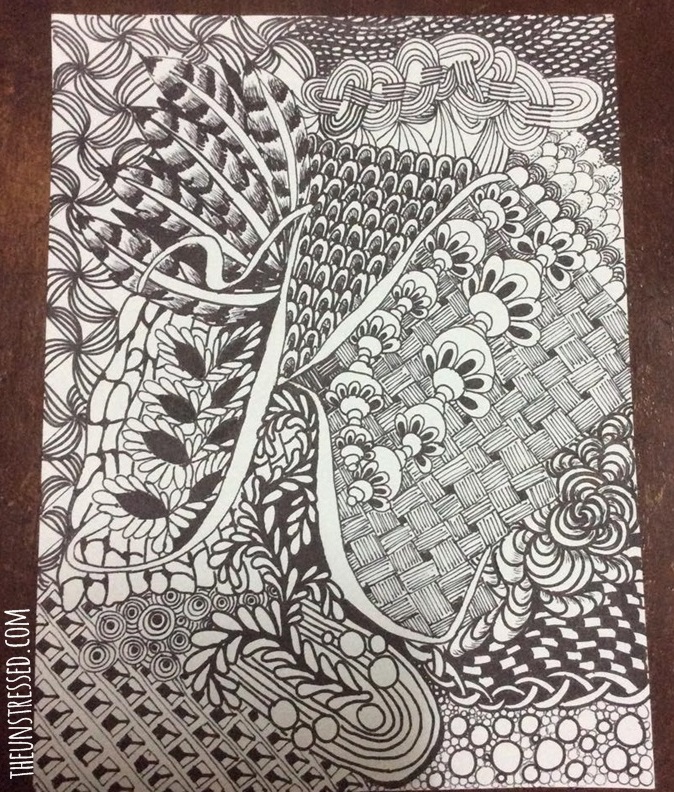 I learned how to do zentangles. It’s fun. All in all, May was a great month and I am thankful for the memories, experiences and blessings. Whether you are starting a collection of authentic war memorabilia and battleground antiques, or adding to it, or looking for a gift for a collector, you are able to find a wide selection of quality items online. If a particular remembrance is not listed, you can have the owners search for it. Current inventory includes historical Civil War artifacts and ones from other wars such as pistols, rifles, bullets, sabers, swords, bayonets, daggers, cartridge boxes, knives, and more. Other items for sale are uniforms, battle flags, coins, dollar bills, medals, lapel pins, buttons, photographs, newspapers, pictorial books, and other prized memorabilia. Also available are full appraisal and documentation services as well as textile restoration and conservation. Whether the customer is a private collector or a national institution or museum, an authenticator/owner on staff is definitely an asset who can assure that the artifacts are genuine. The other owner, who is an evaluator and appraiser of textiles from the early 1800s to the present, is also an important benefit for such a business. Conservation of military uniforms, vintage clothing, flags and quilts will restore and preserve your artifacts for many future years so that they can be passed down to the next generation by you or your gift recipient.